Horse Stem Cell nutrition really works! Horse Stem Cell nutrition really works, as you will see from this remarkable story. 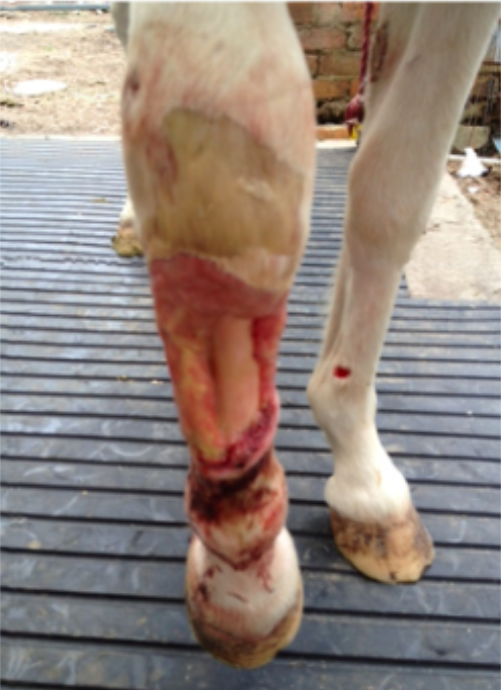 ‘Ribbons’ received a severe cut that went to the bone on her leg. Her owner was smart enough to get AFA-based Stem Cell Nutrition into Ribbons quickly. Here are the photos that show the amazing progression of Ribbons recovery. Ribbon’s leg 8th Feb, 2015. 8 Days after Supplementation with Natural AFA-based Stem Cell Nutrition which supports the natural release of the horse’s own stem cells to repair damaged tissues. 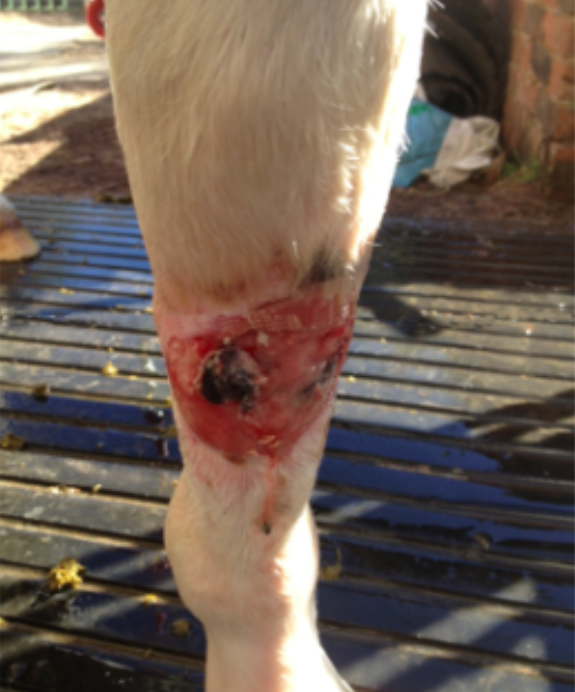 Ribbon’s leg 11th Feb 2015 – 15 days after daily supplementation began with Natural AFA-based Stem Cell Nutrition – which includes StemEnhance™ to support the natural release of the horse’s own stem cells to repair damaged tissues. Ribbons, 17 days after supplementation with AFA Based Stem Cell nutrition (containing StemEnhance) began. as you can see Incredible healing has occurred already in just 2 and a half weeks. Horse Stem Cell Nutrition Works! Horse stem cell nutrition works! Ribbon’s leg, 32 days after starting consuming StemEnhance™ based Stem Cell Nutrition , The wound is healthy, clean, pink revealing good blood flow. 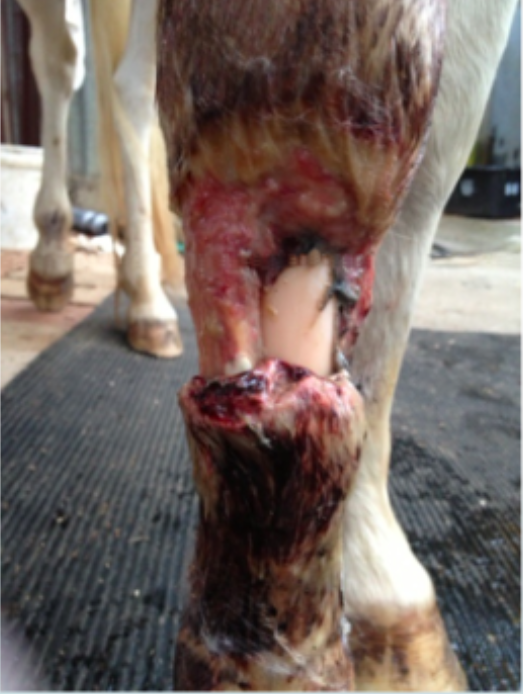 In just one month, the horse’s own stem cells have done an amazing repair job. 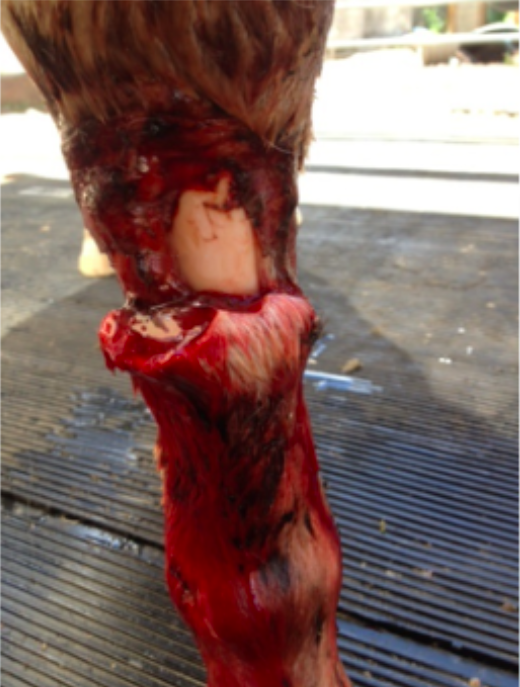 Ribbon’s leg after 55 days of supplementation with an AFA-based Stem Cell Nutrition Product. You can see that the leg is well on its way to complete recovery. Recommended Serving sizes of Stem Cell Nutrition for Horses. Mix the contents of the capsules into their oil, or some molasses before mixing it with their feed. In serious conditions, your horse can consume more as needed. 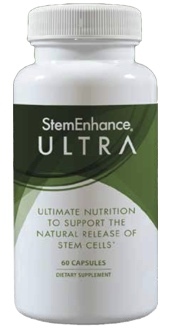 StemEnhance™ Ultra is nutritious and non-toxic . You may feed it every 4 hours for the most benefit. Stem cells in circulation start to get re-absorbed by the bone marrow if they are not used in a reasonable amount of time.